This add on to our Customer Reward Points X-cart mod is great to expand your customer base! Use it to reward your customers by allowing them to refer their friends. When customers refer friends that come to your store and buy, those customers will automatically get rewarded with points to use towards discounts or free stuff on your site! New optional feature! 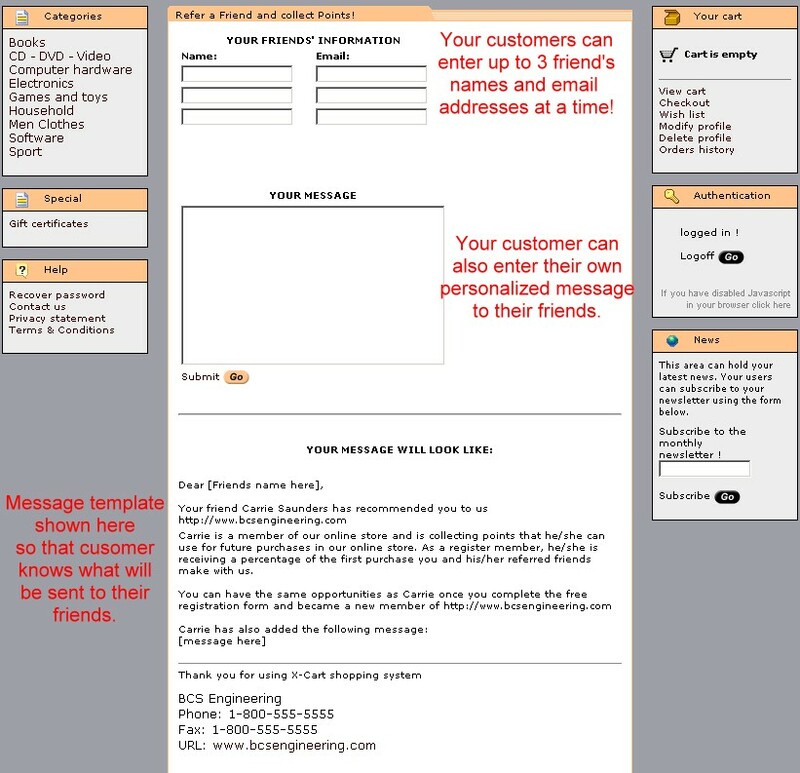 Allow the referred friends to receive coupons in their referall email. Even MORE incentive to buy from you! 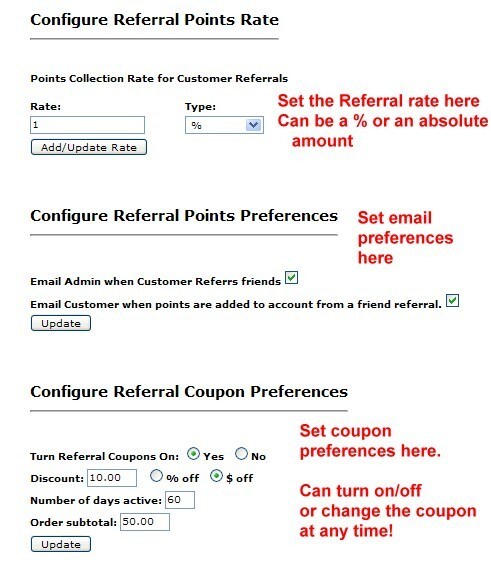 Admin can select the points rate the customers will receive if referrals purchase on their site. Points rate can be defined as a percentage of the referall's order, or as an absolute points value. Admin can select if he/she wants to be notified of email referrals. NEW Referred friends can receive coupons in their referral email! NEWCoupons are admin configurable and can be turned on/off at any time! See this on our site! Requirements: This mod requires that you have our Customer Reward Points mod installed. Save money by getting this in a bundled pack! Bundled with our Customer Reward Points Mod!